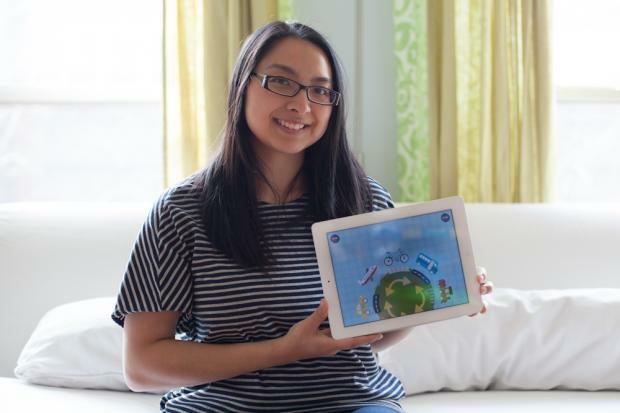 The "Gus on the Go" app features "Gus," an owl co-created by Bronzeville resident Alice Zhao. BRONZEVILLE — Alice Zhao believes a cartoon owl can teach the world's children about different languages. Zhao, a Bronzeville resident, is the co-creator of "Gus on the Go," an app that debuted in June and has slowly built a following. "There's something about starting a company from scratch that is really thrilling for me," said Zhao, 32, who has a master's degree in bioinformatics from the University of Illinois at Chicago. 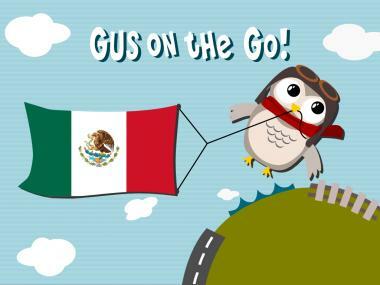 The app features "Gus," a cute owl who flies to various cities in the country, including Chicago, which is included in the English version. Clicking on the cities reveals lessons and games, which teach children between 2 and 6 years old words for animals, fruit, body parts, shapes and clothing items. Passing lesson reviews unlocks the next lesson and games, and awards children gold trophies, much like "Angry Birds." Twelve languages, including French and Spanish but also Romanian and Taiwanese Mandarin, are available. Zhao said Croatian, Polish, Arabic and Vietnamese apps will be released in the coming months. The apps, which sell for $4.99, are available on the iPad, iPhone and iPod Touch and will be on Android and Windows 8 this spring, Zhao said. She said about 1,000 copies of the app have been sold. Her 2-year-old son Dylan already has embraced the Cantonese app. Zhao received help from several Chicago residents who provided their voices for individual apps. Galit Greenfield, who lives in West Rogers Park, is the voice for the Hebrew edition. Former Bridgeport resident Cary Liang — who's also Zhao's cousin by marriage — did the voiceovers for the Cantonese app. "Hebrew isn't an easy language at all, and all the games make it really easy and fun for the user," said Greenfield, who added her 3-year-old daughter, Amalya, loves playing with the app. Their voices were recorded in a make-shift studio in Zhao's home. Liang said the experience was difficult but also "very enjoyable." "We were trying to make sure that every sound and accent were recorded clearly," Liang said. Zhao teamed with Israel-born Yono Mittlefehldt, who now lives in Germany, to create "Gus." Mittlefehldt and Zhao met about two years ago as part of another project, and their love of languages sparked the desire for the new product. "We both know we're contributing as much energy as we can spare to the project," Mittlefehldt said in an email. "The entire process has been tremendous fun and a great experience." Zhao could not agree more. After previous gigs as a database developer and web application developer, Zhao said she's found her true calling with the Gus app. "If we continue this partnership, build great educational apps for our kids and pay our bills, we'd be living our dream lives," she said.